When those tiny hairs in your ear die after you torment them with harsh levels of sound, their collapse produce a little swansong in the form of a long lasting beep that lives with you and deny silence from you. Within the dense realms of this decaying state, other sounds are mere ghosts, covered by the undying barrier of dead sound perception. 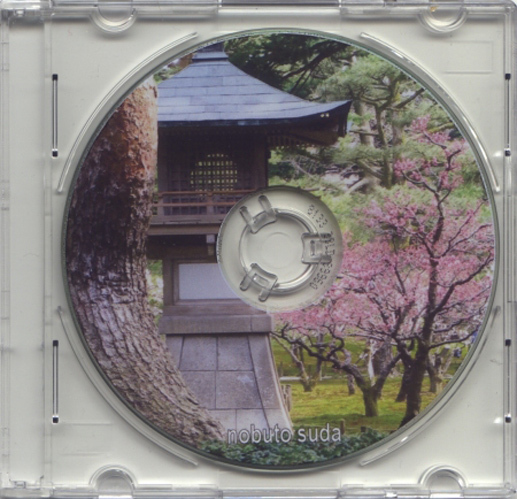 I believe that at the heart of this place stands the twilight garden of Nobuto Suda. Like other Ta’alem releases, this is a 3″ CDr that holds within its limited space an infinite kingdom of beautiful memories, buried under a beautiful, warm and caressing drone that makes our journey dreamier and less tangible. Even at its most intense moments, there is no fear or hesitation, but a calm acceptance and an everlasting will into the bottomless pit that Nobuto Suda paints so beautifully and elegantly. Apparently, so I have discovered, this is how twilight feels in the twilight garden.